Home The Flavel - 13 years and still going strong. Dartmouth’s Flavel Centre opened its doors 13 years ago in 2005 and quickly became a vital part of community life. 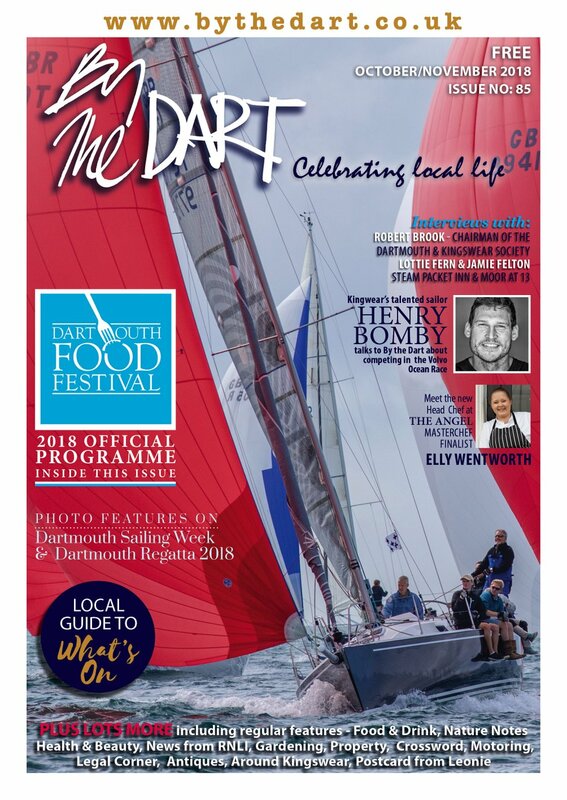 By The Dart spoke to Ray Bridges, who was the driving force behind the launch of the Flavel, and the current Flavel Trustees Chairman, Doug Twigg, about how it became a success and its prospects for the future. Is what the Flavel does today what you planned when it launched over 10 years ago? Ray: Yes, the first year’s entertainment programme is not dramatically different to what we put on now – a wide and varied selection of films, performances and music that appeal to a wide age range. Was it tough financially to get it off the ground? Ray: We raised a huge amount from donations and grants to get it built. But we still had a shortfall of approx £60,000 when we launched so a number of things, like the immediate installation of air conditioning, were not possible. But people came together to save it with donations, it was just extraordinary. The mood of people wanting it to happen was very strong and it kept everybody going. Doug: It’s worth putting that £60,000 in context, in a total of a £2million spend. It is a lot but you were very, very nearly there in getting right across the line. There was some tremendous financial support from individuals and from Devon County Council and other generous sources. Ray: We got to the point of it being built and we were absolutely broke. A bill came up for £26,000 in settlement of the builders final fees; the day was saved by a very generous local donor who said “we can’t have you going bust now” and he immediately put a cheque in the post. At the time did you meet with any resistance either from those that didn’t agree with the vision or didn’t believe it was going to work? Ray: Many people in the town were hugely supportive and second home owners made big donations as well, it wasn’t just people living here. There was a group of people in the town council who saw it as a complete waste of time, and questioned why we needed it. Doug: There was the concern about the possible obligations in the future. The council wondered what would happen if it collapsed financially. 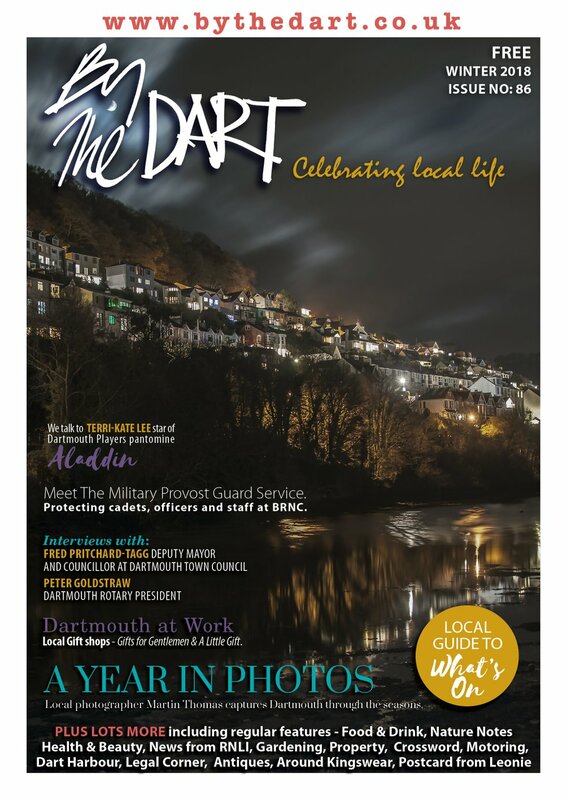 Ray: Dartmouth Town Council went from being in support of it to against it but that’s because South Hams District Council turned very negative about the whole thing. Because the support of volunteers was to be a crucial part of how it would operate, there was concern that this made it vulnerable. Doug: Of course that’s a judgement, which is so difficult to call. What they didn’t realise was how strong the volunteer instinct is in Dartmouth. Do you know how many volunteers you have had since the Flavel opened? Doug: Not off hand but there are certainly more than 100 active volunteers at the moment. Ray: Curiously enough there have been that number right from the start. We visited several similar theatres in Devon and Cornwall when we were trying to get it built, and a number of them were seedy, not very clean and needed a coat of paint. One of the great things about the Flavel is the maintenance team who have kept it looking crisp and fresh; it’s been absolutely fantastic. The voluntary element has been so important. Also, people who move into the town find it a marvellous place to volunteer and meet other people. Doug: It goes beyond that because people actually move to Dartmouth taking into account the Flavel is here. 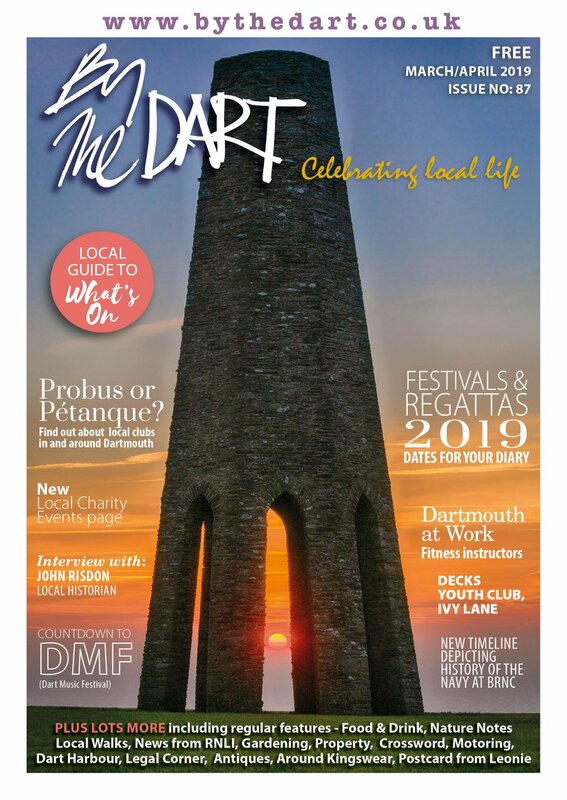 There is a lot more of cultural activity here than you might expect in a community of around 10,000 in Dartmouth and the surrounding area. Because the town is geographically isolated it works in our favour although the river does cut us off somewhat from potential patrons in Torbay. When you planned the centre did you envisage the sort of mix of activities that you have here now? Ray: At the time it was seen as a community centre because of the history of the Flavel Hall, which was where societies met, that also put on theatrical events. That was a very strong element of the new Flavel centre and why people wanted it. We had not seen it in quite the exact proportions that exist now, but the mix was always seen as important for the sort of cultural focus, which was simply lacking in Dartmouth at the time. There were very few places then in/around Dartmouth where people could congregate for these type of activities. Doug: The use of the community rooms has strengthened and grown. Over the last few years the utilisation of the meeting rooms is very high be it the U3A, zumba, yoga, art classes etc. Has the variety of Flavel offerings grown since it started? Doug: The fact the seats in the auditorium move back provides a huge flexibility and that has been a major contributor to the variety of events we can stage here. As the population is getting older, the classes for kids and younger people aren’t happening as much. We are aware of these trends and the need to change and are developing links with groups like Dartmouth Caring but also at the same time expanding our links with Dartmouth Academy and other schools. With hindsight, would you have changed some of the original design features? Ray: I would have liked it to be a little larger. We have 220 seats in the auditorium and that’s the maximum because of fire regulations. At the beginning we had thought it would be a full three floors instead of two-and-a-half, but the heritage people said we couldn’t have it higher than the building next door. And because of flood possibilities we had to raise the building up so that compromised what we could fit in. What would you have done with the extra space? Doug: The biggest improvement I can see would be another meeting room. We are so busy fulfilling the meeting room requests we have to turn down quite a lot. I’d like more businesses to use the facilities as a meeting place but we have to work very hard currently to squeeze it all in. We have more than 800 paid room bookings a year, which is a huge number. Will there be another big fundraising drive further down the road? Doug: We will see. We certainly have a significant fund in place and if the lift motor or air conditioning fails then we are in the position to cope with that. It depends what the requirement is and how far we are down the line. The Flavel does not receive any regular funding from any council or government agency. This has been a deliberate policy, which we have been able to follow, to preserve our independence and avoid the severe difficulties, which some other venues have faced when their grant is suddenly withdrawn. Funding for specific items, such as equipment, from the government and councils has, of course, been sought and given. There was a groundswell of support when you started but is there a danger the community could become complacent about the Flavel? Doug: In the broader sense, competition in the arts scene has grown and everyone has raised their game. The visual quality of live screening has had a bit of an effect on local dramatic society; people back at home have got smart televisions with amazing home cinema systems. This does impinge on the Flavel’s core business and the result is we have to work harder to fill the place. We have upped the game in terms of publicity, marketing and advertising. Variety is one of the Flavel’s great strengths but what is the one thing, which if lost, would have a critical impact on the success of the centre? Doug: The cinema is very important as it provides an underlying vitality to the Centre and it means there is always something happening. It would be a huge change and a mistake to shut on say Tuesdays, Wednesdays and Thursdays as there would just be nothing on. Ray: Films are so important, that they actually influence the revenue of the Flavel quite dramatically. If you have a year of terrible films and nobody comes it flattens the takings. When Mamma Mia was released it had a disproportionate impact on our income for the entire year because the Flavel was stuffed full every night. To some extent, no matter how brilliant the management of the Flavel is, you are at the mercy of the filmmakers and screening of events etc. It is a tough world. Doug: We mustn’t forget also that the library and café are fundamental to our success in attracting a wide range of people across the community and creating a strong community feel about the place. The café has a really important influence on the atmosphere of the whole building. Has the growth in live screening of arts events had an impact? Doug: It’s driven by technology and the purchase of our digital projector was the start of it. We did without that for about five years, so it was a huge change. Once you could plug into the live screenings suddenly the London stage came to Dartmouth. It’s had a huge effect. Ray: One chap who had seen Rigoletto on the live screen here came in and said The Flavel is marvellous as it saved him £300 and a six hour round trip to London! A local woman from Dartmouth recently went to see a live screening of the ballet here for first time in her life and she said she had never seen something as beautiful as that performance. She is a convert and the Flavel did that for her. Do the trustees play a critical part in how the operation works? Ray: Right at the beginning one of the things I found striking about Dartmouth was the amount of extraordinary talent here. When we first started to assemble a team to get the Flavel built, people were coming together who had the kind of experience that made you believe it could happen. Doug: Yes, the Trustees certainly play a key role, but as part of the overall team, with the staff and the volunteers. The staff are of course absolutely vital to the whole operation and deserve great credit for all their efforts. The Flavel has long punched above its weight for the size of community. Are you reaping the dividends from that? Doug: We are definitely on the map. Acts may say it’s a very small venue but some of the people who have come have been pretty strong names. Our turnover is small for quite a hugely complicated, multi-faceted organisation. We are in a good position currently but it’s really important that people don’t take the Flavel for granted, to realise this is a really special facility for a small town. We want to reach out to the widest possible community and we recognise we are not fully engaging with some. We say if you don’t come very often, come a bit more and if you just come for one thing, think about coming for another genre or performance you wouldn’t normally attend. Cumulatively and in aggregate, this will have a huge impact on our long-term success. Ray, you must be very proud of the Flavel and your role in its success? Ray: I am proud of what I did but the team are doing a brilliant job. It has been going for 13 years now, that’s plenty of time for people to forget it and not bother to turn up or volunteer but that hasn’t happened. What Doug and the teams have done over the last 10 years has been extraordinary. Do you feel confident for the Flavel’s future over the next 10 years? Doug: Yes, it will always require lots of hard work but it’s difficult to see it not thriving. Ray: It’s interesting to see how things shift in the entertainment world. In the 1930s the theatre was very concerned about the cinema stealing its audiences. It wanted nothing to do with film but now, 70 years later, and the theatre is saying that live screenings are very important. What the Flavel has is the flexibility to cope with whatever shifts there might be in the future.